At Sami, overlooking the legendary island of Ulysses. An idyllic destination for relaxation and getaways. Green Bay consists of five buildings. The first one contains the reception, the cafeteria and snack-bar, as well as the breakfast area. The rest of the four buildings contain the rooms. Every building has two apartments and six studios. All rooms have kitchenette, fridge, bathroom with shower, hairdryer, air condition, telephone, TV, and big independent verandas. Also iron and ironing board can be provided on request. 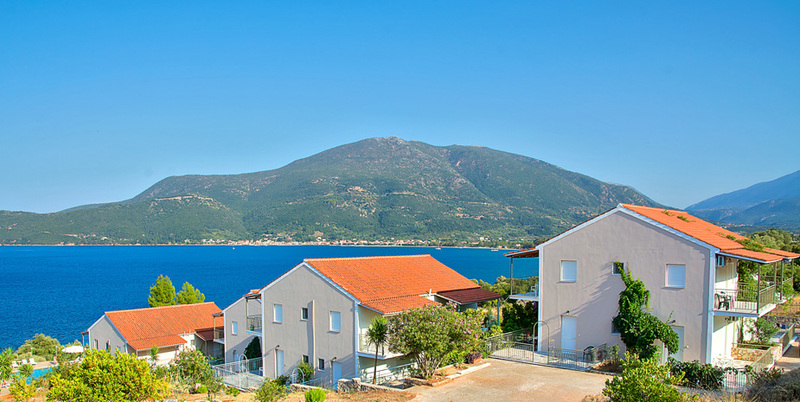 Half of rooms have sea view, while the rest have mountain view, garden view and side view of the sea. All rooms and hotel areas offer free Wi-Fi.